Are you looking for a termite service (with FREE termite inspection!) and pest control in Orange County, Los Angeles County or San Diego County? Well, worry no more! Mariners Pest Control guarantees that your family and your home will never have to worry about termites again. A termite unseen doesn’t mean your home is termite-free. Termite swarming only occurs once or twice annually, which can be easily missed by homeowners. Left untreated, termite damage can total thousands of dollars to your home and eat away at your home equity. Annually, more U.S. homes suffer from termite damage than fire, storms, and earthquakes combined with the total cost of termite damage topping $1.5 billion nationwide. Unlike natural disasters though, it is virtually impossible to find an insurance policy that will cover termite damage. The Mariners Pest Control termite inspection and termite treatment program can help to educate you on your home’s termite threat, and take all necessary steps to provide termite treatment and termite control to restore your most precious investment – your home. In order to best assess your termite treatment needs, please call 888-945-2847 or fill out our contact form for your FREE termite inspection. An average colony of subterranean termites (one of the most destructive forms of termite in the U.S.) may consume 16 grams of food a day. If you do the math, that’s around 12.9 pounds a year! Most homeowners are unaware of termite infestation. A trained termite technician can determine whether your home is currently experiencing a termite infestation based on telltale signs of termites. Should a termite inspection determine that your home has a current termite infestation, our trained and certified technicians will be glad to review all evidence of termite damage and termite colonization and recommend a course of treatment to eliminate the termite infestation. 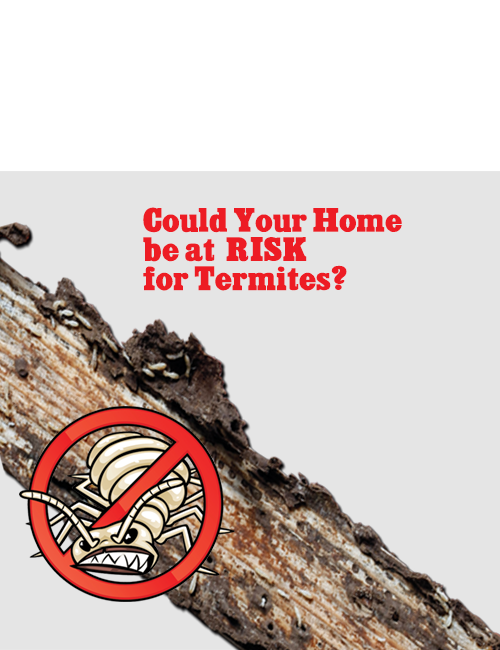 Mariners Pest Control is the right choice to rid your home of termites! 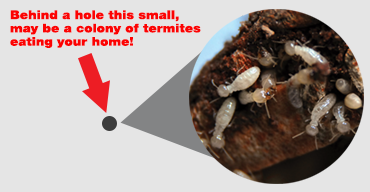 Call us today at (888) 945-2847 or fill out our contact form to schedule your FREE termite inspection. We service Orange County, San Diego County, Los Angeles County, Riverside County, and San Bernardino County.